Choi Si Won is also one of the first four Korean artists to be on Chinese postage stamps. Siwon was born and raised in a strict Protestant family in Seoul, South Korea. He has a younger sister, Choi Jiwon. His family owns one of Korea's largest supermarket chains in Seoul. In 2003 when Siwon was 16, he was scouted by a talent agent and was recommended to audition for the Starlight Casting System to be an entertainer. 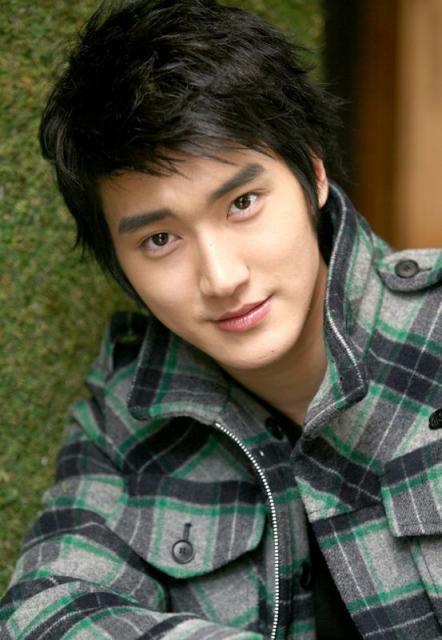 Interested in an entertainment career, Siwon auditioned despite his parents' initial disapproval. After Siwon passed his audition, his father allowed him to sign under the talent agency SM Entertainment under the agreement that Siwon would remain as a full-time student. He also told Siwon that he would not offer him any help, wanting Siwon to learn life lessons by working independently. 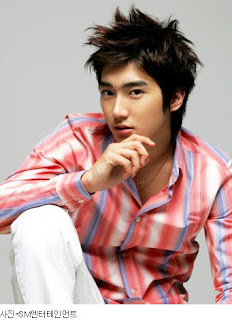 Siwon began taking private singing, dancing, and acting lessons a few months after the SM audition. 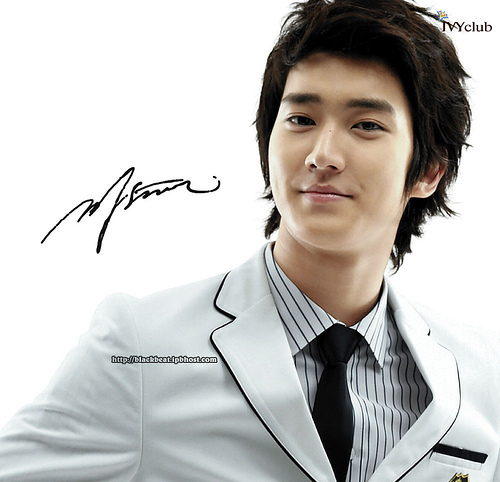 In late 2003, Siwon moved into dormitories with fellow trainees and began to attend training classes with them. That same year, he made his first media appearance in The Grace member, Dana's "What Is Love" music video. 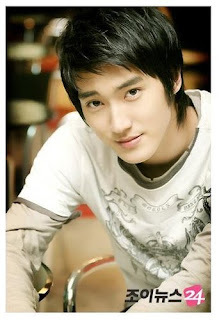 In 2005, Siwon made a brief appearance in the KBS drama Eighteen, Twenty-Nine as the young Kang Bong-man. Not long after Siwon's first television appearance, SM Entertainment released an announcement that he would officially debut as one of the twelve members in a boy band. This band later became officially known as Super Junior 05, the first generation of the rotational music group Super Junior. A few months before the debut of Super Junior 05, Siwon made his first official media appearance with band mate Han Geng as a runway model in a fashion show by Bum Suk. Super Junior 05 offically debuted on November 6, 2005 on SBS's music program Popular Songs, performing their first single, "TWINS (Knock Out)". Their debut performance attracted over 500 fans and also garnered oversea viewers from both China and Japan. A full studio album was released a month later, which debuted at #3 on the monthly MIAK K-pop album charts. After Siwon's appearance in Eighteen, Twenty-Nine, he was casted in a larger role for the mini-seriesSpring Waltz, playing the supporting role Park Sang-woo, the teenage cousin of a diligent and working young woman. Not long after Siwon's musical debut, he was casted in a large supporting role in the Hong Kong epic film A Battle of Wits starring opposite Andy Lau. The cast promoted the movie throughout China with a short tour of four cities in November 2006. While the film received mixed reviews, Siwon garnered positive notices for his performance. He also received praises from co-star Lau, stating that Siwon is a wonderful actor and that he sets a good example for young Hong Kong idols. Half a year after the release of A Battle of Wits, Siwon starred in the high school mystery/comedy filmAttack on the Pin-Up Boys with other Super Junior members. He played the lead role as a controlling and severe class president who was one of the popular possible subjects of being attacked by mysterious forces. Despite positive critical ratings, that film did not do well in the box-office, but all four versions of the film's DVD were all sold out and broke chart records. Few months later, Siwon was casted in the mini-drama Legend of Hyang Dan as the lead role, Lee Mong-ryong. 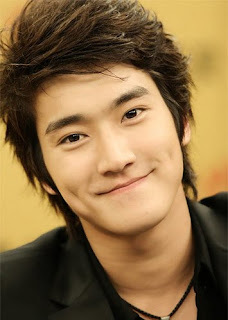 Siwon continued his education after his debut with Super Junior in 2005. He graduated from Hyun Dae High School in February 2006 and later went on to attend Inha University. For continuity of his role in A Battle of Wits, his company arranged him to travel to Beijing, China in 2004 to learn about the country's language and history and studied there for three months before his return to Korea to prepare for his debut in Super Junior a year later. Siwon is also a drummer, having performed with his senior label mates TRAX in September 2006 on SBS's music show Popular Songs due to the fact that their drummer, Rose, had left the band. He is skilled in Taekwondo and became the youngest in Korea holding the fourth rank in the black belt. Siwon is also a Christian. Favorite fashion brand: No specific favorite. If you have a jinx? Lip balm must always be in left pocket when going up on stage. On the rare occassion that he doesn’t have it, he will mess up the choreography. Something I want to change a little in my personality is that whether it’s because I’m still young, I don’t know, but I feel that I lack a lot of patience and perserverence. I do this when I fight with another person: I go first to apologize. When I go shopping, I: Choose what I want quickly. If I could have a new life I would want try this. I’m always thankful for everything I have at any moment. When a problem occurs, I: Always pray first. When I have someone as good as myself to compete against I double my effort to work hard. Siwon like american style breakfast. He likes espresso and waffle for ate together. And also cheese for his breakfast. Siwon learned most of his Mandarin from Vietnamese children shows. MC (talking about Siwon) :" Even if you see him in real life,,, he kind of looks like a ROMANTIC SCULPTURE!!! In shows,when Kyuhyun is going to pull a prank on his hyungs, Shindong and Siwon always accompanies him! Siwon is skilled in Taekwondo and became the youngest in Korea holding the fourth rank in the black belt. Siwon once went inside the wrong car. The car was the same brand and color as his. He was so shocked, he ran away. siwon would go to his hyungs after a show(especially HC & KI) asking kisses from them to show that he did a great job! Siwon once said that his role model is his father and he wants to be like him someday.